Hey there. Yesterday I found out that a classmate (and band mate) of mine has recently decided to go into the bakery business, specializing in cakes. She's been doing it for years and family has finally convinced her of becoming her own boss and selling her cakes. Just check out some of the masterpieces she's created! Cake is a white cake with strawberries and whipped cream filling. 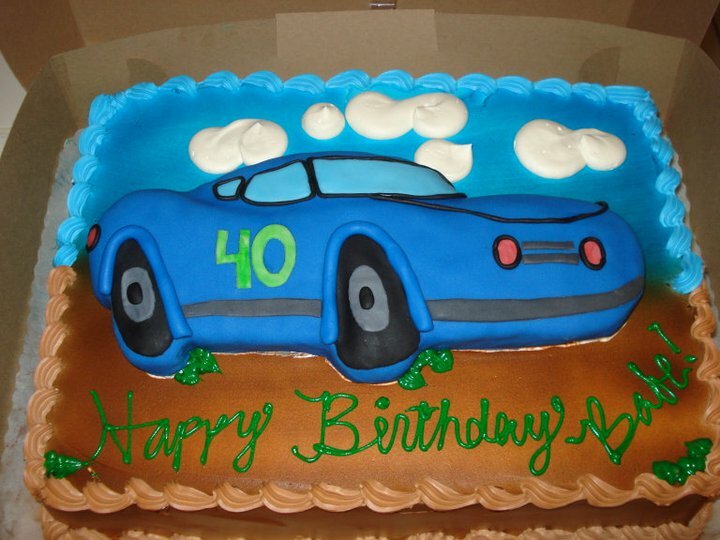 Car is all rice crispies and covered in fondant. Monkey and base (not pedestal) are made from rice crispies and covered in fondant. Cupcakes are banana nut with buttercream frosting with a flower on top (made out of fondant) as decoration. Doll's skirt is vanilla cake (this one doesn't have a filling). 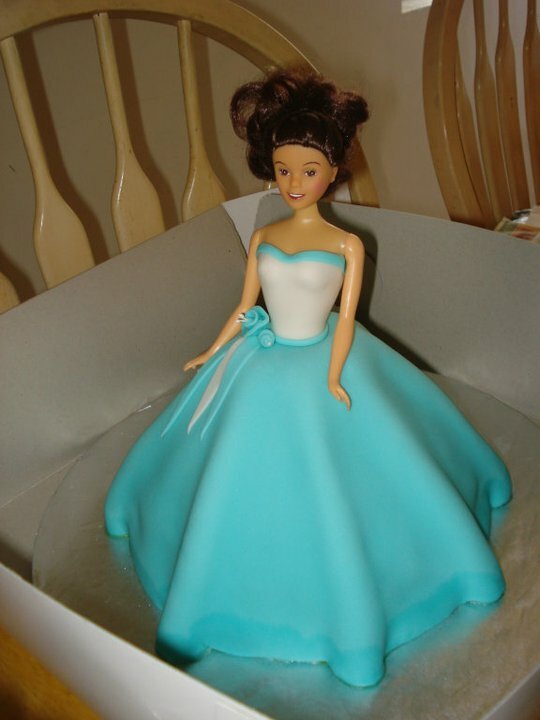 Doll's entire dress is fondant. 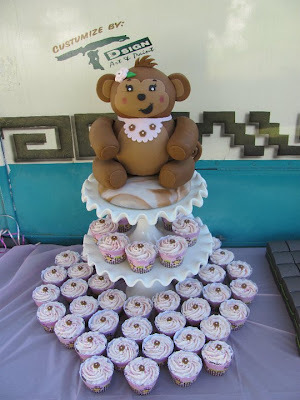 If you want to check out more from Belle's Bake Shop check out her Facebook page here. Tell her Metallman sent ya! Later! Awesome! Let us know when she branches out to other places. Her cakes are beautiful! I've recently been experimenting with cake decorating, and it's always people like this that make me feel like I should give up. Lol! Her work is amazing! I wish I could master fondant like THAT!